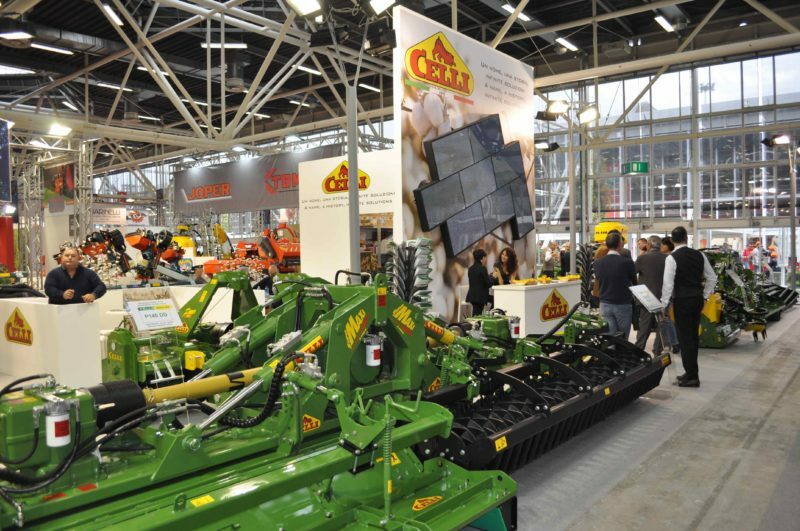 Solutions suitable for different types of soil and preparation have been part of the Celli range for some time; but never like this year the attention in the development has focused on innovations that allow to perform different preparations with a single machine, with a saving for the operators, in economic and time terms, and a work efficiency improvement. News also appreciated by the many visitors of EIMA International, a showcase in which Celli has participated with the latest results in this direction. Among these, the SUPER TIGER 450 P folding rotary tiller, which can also be used in the frangor version, and fitted at the back with rollers and with bed formers, to show its extreme versatility; so also for the 7 meter SUPER MAXI P, the first application of a bed former on a power harrow. Another multi-purpose solution, the MIZAR S mulcher (side-shift), which in addition to the cutting disc, can be equipped either with a little mulcher or power harrow, thus satisfying every type of need in inter-row processing and in the sub-rows of the vineyard and the orchard. Together with them, there was also the new PIONEER 140 DD (double transmission) rotary tiller, specifically designed for the soil preparation of artichokes cultures, and the RANGER power harrow with side-shift, also designed for a specific culture, that of citrus fruits . The new version of the 4-meter RHINO rotary tiller also made its debut at EIMA; the G190 280 spader, the smallest model (with removable axles) in its category; and the TIGER 190 „BIO“ rotary tiller, which demonstrates the company’s attention to an increasingly attention to minimal depth soil preparation and less invasive.